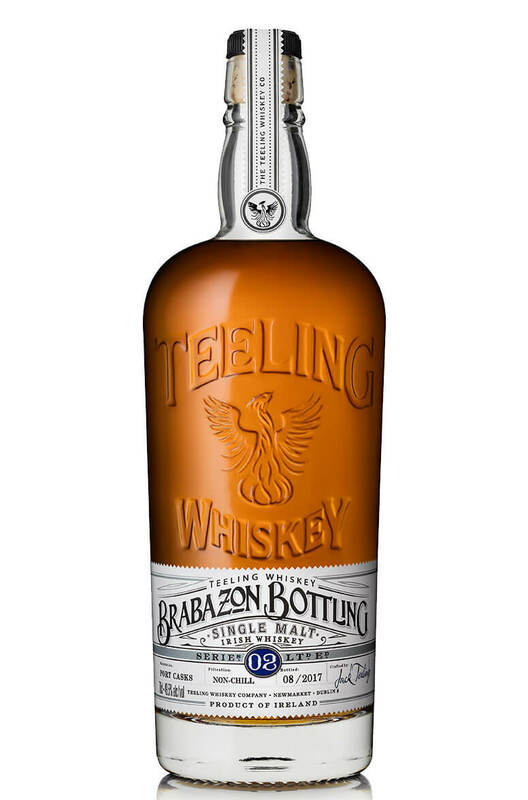 The second edition of Teeling Whiskey's popular Brabazon Series. This time maturation is done in port casks and it is bottled at a satisfying 49.5%. We love the fruitiness of this second bottling. Port cask matured whiskeys can be difficult to get the balance right on and this example is absolutley perfect with just enough red fruit flavours coming through. Taste Smooth and mouth-filling. The fruit characters are fresh and lively with a delicious strawberry shortcake front end backed up by malted grains, vanilla and dried fruits. The finish is drier and oakier with some furry tannins and exotic spices creeping through. Nose Soft and aromatic with touches of freshly baked fruit loaf, apricots, strawberry jam, dates, fresh figs, honey and malted milk biscuits. Colour Bright gold with a very slightly pink hue.